Education has given many of us the opportunities to lead a better quality life and attain our goals. However, for thousands of Nepali children, education remains a distant dream - due to poverty, caste, gender discrimination and lack of access to schools. The quality education remains the most important tool towards the realization of rights of all children. Books of all kinds play a critical role in a child’s development. Unfortunately in Nepal, most children do not have access to books beyond basic school textbooks. Children’s books are a luxury to have in Nepal and are a rarity in many government schools, orphan houses and community centers. Having fun educational books available helps to encourage independent learning, intellectual curiosity, and a lifelong passion for reading. Project “One District - One Library” is a literacy program with a goal to make 75 Child Friendly libraries in 75 districts of Nepal by providing 75,000 books to benefit more than 100,000 school going children by 2017. This program is initiated by Solidarity Nepal, a non-profitable and social welfare organization dedicated for social transformation in Nepal, open to all persons regardless of race, color, creed, gender or political preference. “One District - One Library” means 75 book libraries in 75 districts of Nepal. Through the success of our pilot phase program conducted at several schools, orphan houses and community centers in Kathmandu, Dolakha and Nawalprasi. 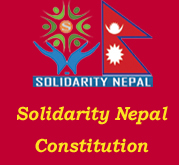 Solidarity Nepal is confident to meet the campaign target by 2017 as this program is highly recognized, participated and supported by medias, colleges, corporate houses, youth agencies, government, political figures, NGOs, local organizations and local people. 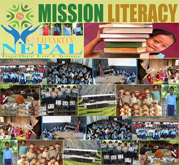 The “One District - One Library” Project’s goal is to put books in the hands of eager kids throughout Nepal. We believe that every single person can make a difference through "One District - One Library" campaign. The library project provides a wide range of English and local language children's books including history, science, short stories, fairy tales, books for very young readers, children's dictionaries, children's reference books, and an assortment of comic books. This campaign runs with your generous support. Solidarity Nepal initiated this campaign for everyone who is passionate about making difference in various government schools, orphan houses and community centers in Nepal by investing little effort. Every one of you can contribute and participate in this campaign by donating a book. Create awareness about the importance of library. Assist and train teachers, students and local community members to properly use and maintain the library. Share our project with members of your community, coworkers, employees, and friends. Help us to buy/collect old and new books. Help us raise funds to buy books (1 book = Nrs. 100). Overall support for the project. 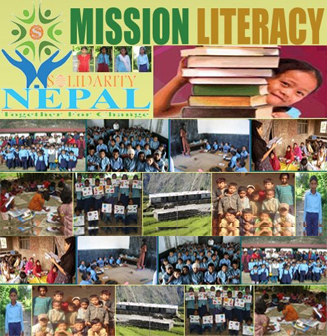 Please notify us here info@solidaritynepal.org when the books/equipment needs to be picked up. A small contribution from your part could make an immense difference in favor of many lives. We shall need your sympathetic and whole hearted support and co-operation as an individual and members of the wider community. “One District – One Library”: A Child Friendly Library project is expected to benefit about 200 students of Shree Janajyoti Primary School & up to 5000 local community members in the remote village of Gulmi district. We hope to educate both students and the greater community in this campaign. So, we purposed a library consisting of at least 1,000 children books & 200 dictionaries. SJPS is located at Bishukharka, Ward No-8, in Bhangyang, Gulmi. The school was established in 2041 BS and was founded by the different members of the village community with around 2.2 hector of land. The school has got classes running from 1 to 5 with a separate kinder garden section. The project will bring tremendous changes in the village & will be executed in October-November, 2015.